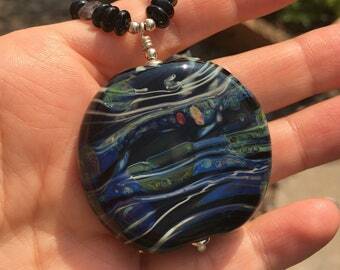 Artist handmade borosilicate glass contemporary marble, planet style UV art glass marble. 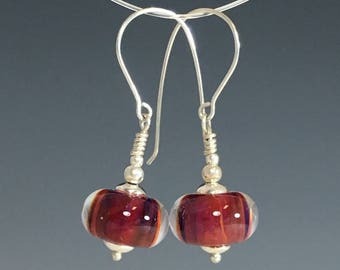 Amber color drop lampwork glass bead earrings, artist made, great gift. 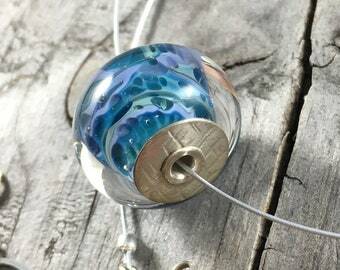 Love the disc with wire-the wire is strong but delicate & the fastener is sterling & handmade. 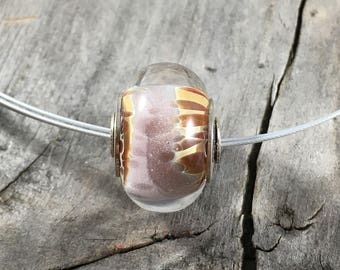 I love the simplicity of the piece. I felt the price was reasonable. Glass leaves in the sunlight. Josh's booth at an art fair. Based out of Southern Oregon, my husband and I make beautiful things out of glass. 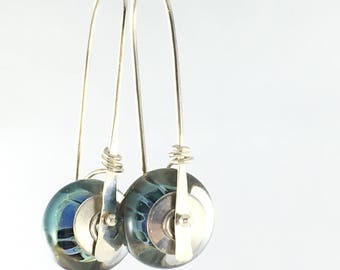 I make beads which I sometimes turn into jewelry, and he makes vases, cups, leaves, and sculpture. 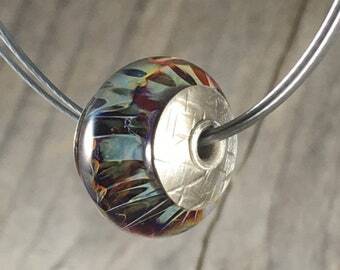 Each piece is made using the lampwork or flamework technique, which consists of melting glass in the flame of a special torch to create beautiful works of art, one at a time. Our art and beads are made from borosilicate glass, also known by the brand name Pyrex (the cookware! ), and is known for its strength and durability.